Whether you’re shopping for a Santa Monica-inspired gift or forgot to pick up keepsakes during your last visit, you can now shop for Santa Monica souvenirs all year long at santamonica.com/store. The new online store, Shop Santa Monica, features a collection of souvenirs, clothing, toys, books and more – all of which make great gifts for anyone, even yourself. Because there’s always an occasion for gift-giving, here is the ultimate Santa Monica gift guide. You can find all items in our Santa Monica Visitors Centers or on the online store. Buying a gift for your boss can be tough. 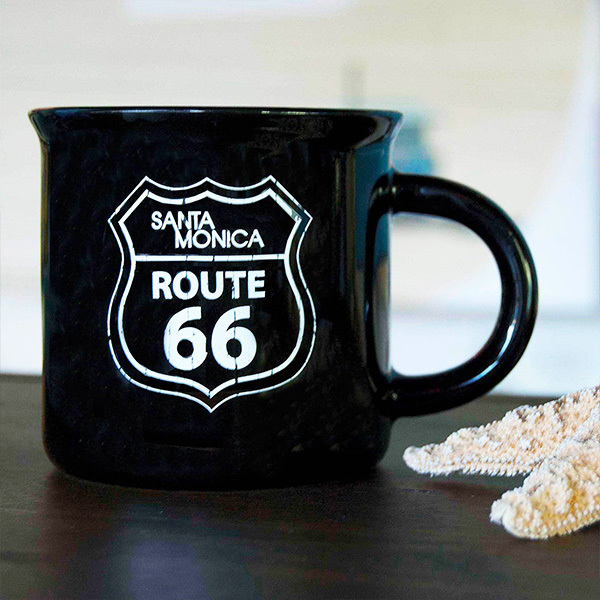 Show your boss you appreciate their generosity and support with a Route 66 Santa Monica Mug, a functional gift that can be used in or out of the office and enjoyed for years to come and they will think of you while drinking their daily cup of coffee. Help your friends and family make their new house a home with a Santa Monica Coaster set: a perfect housewarming gift. 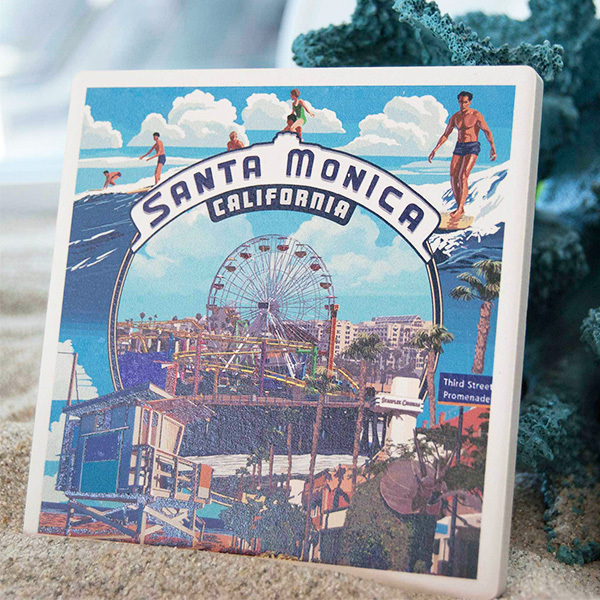 These beach side-inspired coasters are available in multiple styles and will help you bring a piece of Santa Monica into your home. This Santa Monica Messenger Tote comes in handy for any outing. Whether your mom is going on a trip, enjoying a day at the beach or shopping at the farmers market, you can’t go wrong with a gift that has many uses. 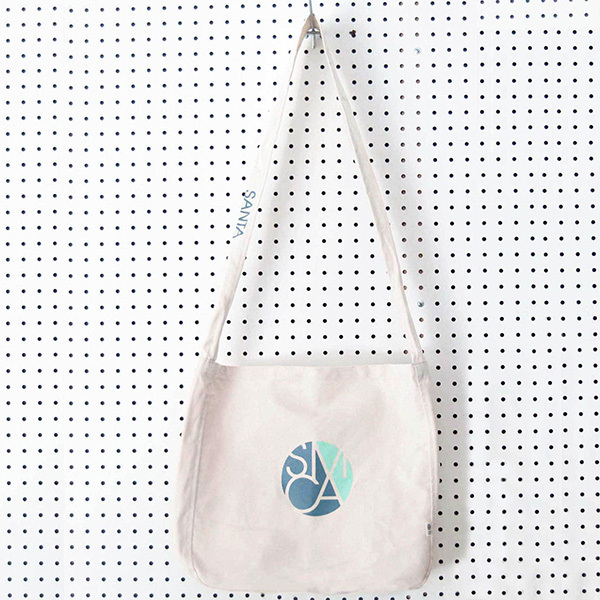 This messenger tote is the perfect accessory. Purchasing keychains is a great way to commemorate an unforgettable trip and they also make a fantastic gift to bring home to family and friends. 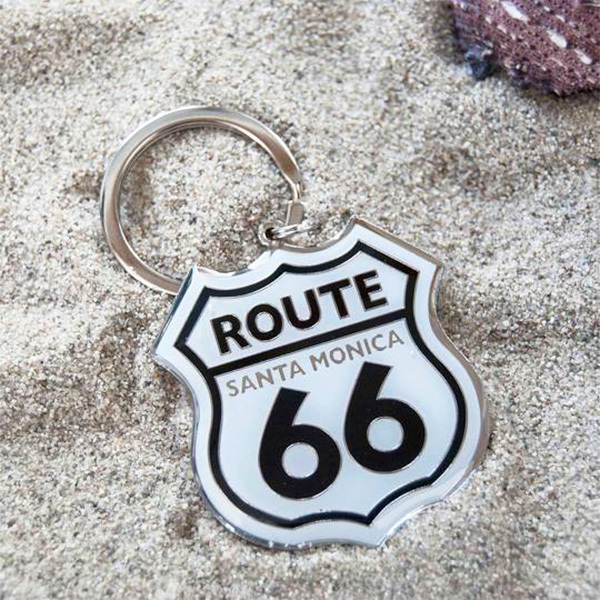 If you’re in need of a simple gift to show a small gesture of gratitude, a Route 66 Santa Monica Keychain will do the job. Plus, you can share the story of Route 66 with your friends and family to make this souvenir even more meaningful. 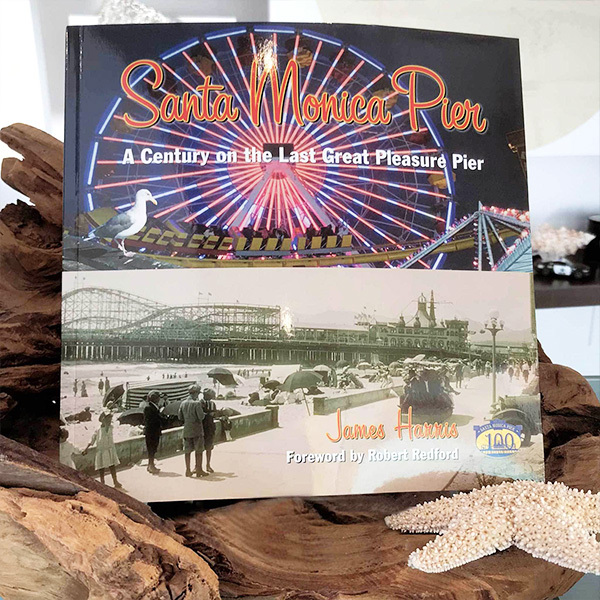 Make retirement dreams of traveling come true by gifting the Santa Monica Pier: A Century on the Last Great Pleasure Pier by James Harris, a book full of vintage images and colorful artwork that are sure to inspire a trip to one of Santa Monica’s iconic spots. This commemorative collection of vintage images, colorful artwork, fascinating history and treasured lore, invites anyone to walk through time on the pier of Santa Monica. Dads can be tough to shop for, but you can never go wrong with a classic sweatshirt. 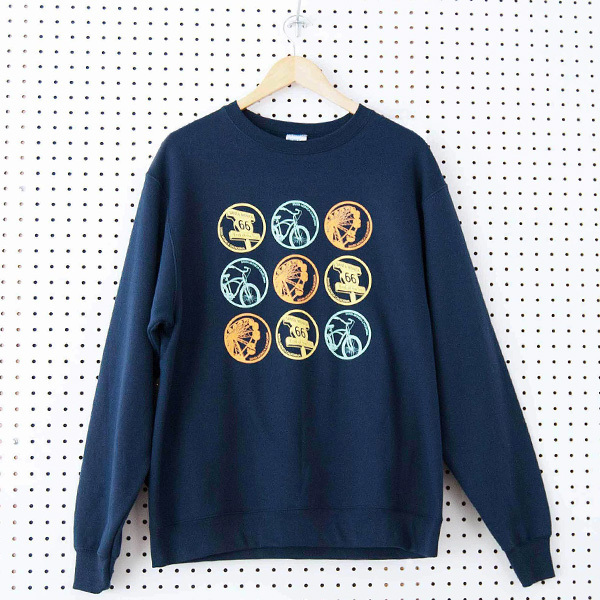 This Santa Monica Crewneck Collage Sweatshirt features some of Santa Monica’s most popular attractions, such as the Route 66 Sign and solar-powered Ferris wheel and is available in sizes small through XL. Give the gift of a fun keepsake for a child’s first birthday. 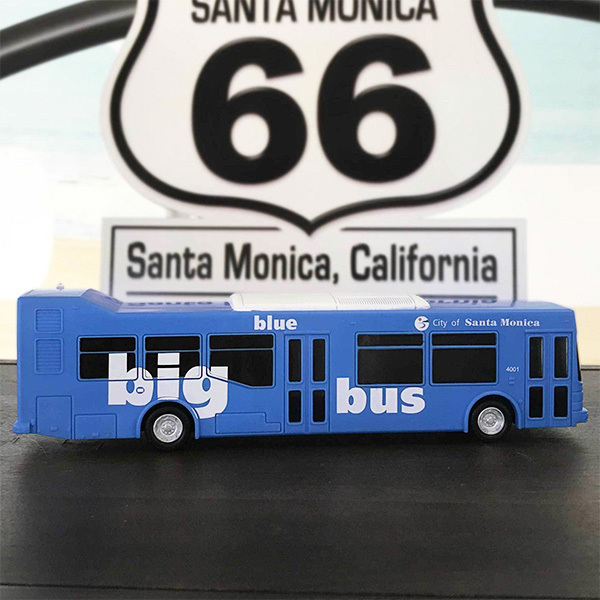 This Santa Monica Big Blue Bus Toy is a mini replica of Santa Monica’s Big Blue Bus, nationally recognized for its long-standing commitment to a cleaner environment. The public transportation agency operates a fleet of 200 clean air vehicles, and provides rides for over 44,000 customers daily, across a 58-square mile service area. 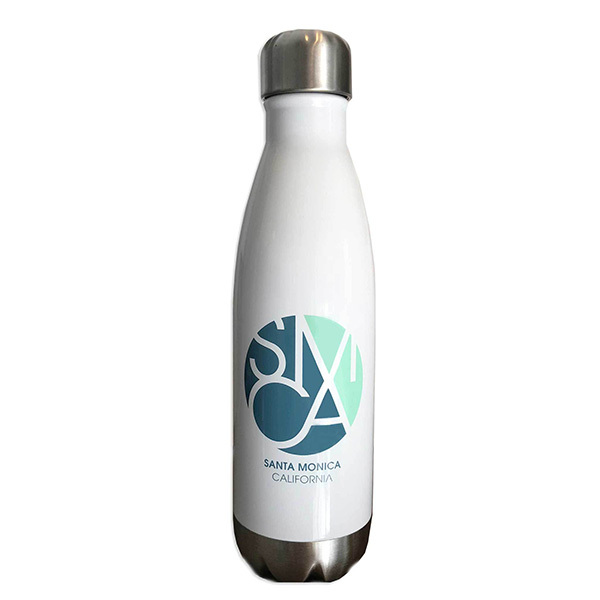 Wish recent graduates the best of luck in their future endeavors with a Santa Monica Water Bottle to remind them to stay hydrated during those long college classes. This high-quality BPA Free water bottle fits most cup holders and keeps your beverage cold for up to 12 hours. Shop for additional Santa Monica souvenirs and merchandise by visiting the Santa Monica Online Store now.